Vicki J. Lyons, MD, PC, completed her residency in Internal Medicine at Dartmouth Hitchcock Medical Center in Hanover, New Hampshire, and her Allergy and Immunology Fellowship at the University of Texas Southwestern Medical Center in Dallas, Texas. She is board-certified by the American Board of Medical Specialties in Allergy and Immunology as well as Internal Medicine. She has been practicing in Ogden, Utah, for more than 18 years and currently is section leader of the Department of Allergy and Immunology at McKay Dee Hospital. Vicki has always been driven to succeed. In college, she received the prestigious Presidential Merit Scholarship, and in medical school she was selected for a National Institute of Health (NIH) Study Research Fellowship. While at the NIH, she participated in laboratory research aimed at understanding the basis for Parkinson's disease and age-related thermoregulatory decline. She has been a principal investigator for more than 130 FDA research studies covering a broad range of medications and specific illnesses. She was placed in Cambridge Who's Who in 2009. In 2012, she was named one of the top allergy and immunology specialists in her region by The Leading Physicians of the World. 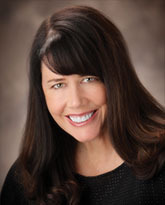 Vicki is president of the Utah chapter of the American Lung Association and is past president of the Utah Society of Allergy and Asthma. She is editor and co-founder of What Doctors Know, an international digital publication available through the Barnes & Noble newsstand. She has authored comprehensive, informative articles on asthma, seasonal allergy, drug allergy, gastrointestinal allergy, and allergy immunotherapy (allergy shots).